In North Dakota, No Need For A Permit To Carry A Concealed Handgun : The Two-Way Critics of the legislation had argued that it was already easy to get a concealed-carry permit in North Dakota. North Dakota's governor signed legislation on Thursday allowing people to carry concealed handguns without a permit. Above, a gun shop in Burlington, near Minot, N.D.
North Dakota's Republican governor signed legislation Thursday night that allows people to carry concealed handguns without needing a permit. This makes North Dakota the latest of about a dozen states to adopt what gun rights proponents often call "constitutional carry," according to the National Rifle Association. As Dave Thompson of Prairie Public Broadcasting reports, "The measure allows people 18 and older to carry hidden firearms without having to undergo background checks or training — as long as they're law-abiding citizens." Anyone who is eligible to possess a Class 2 firearm license and has had a valid driver's license or state ID card for at least a year may carry a concealed firearm. In a statement, Gov. Doug Burgum said, "Gun ownership is both a right and a responsibility, and that responsibility begins with individuals and families." The statement also said the governor "encouraged anyone considering carrying a concealed weapon to enroll in one of North Dakota's many certified gun safety courses." 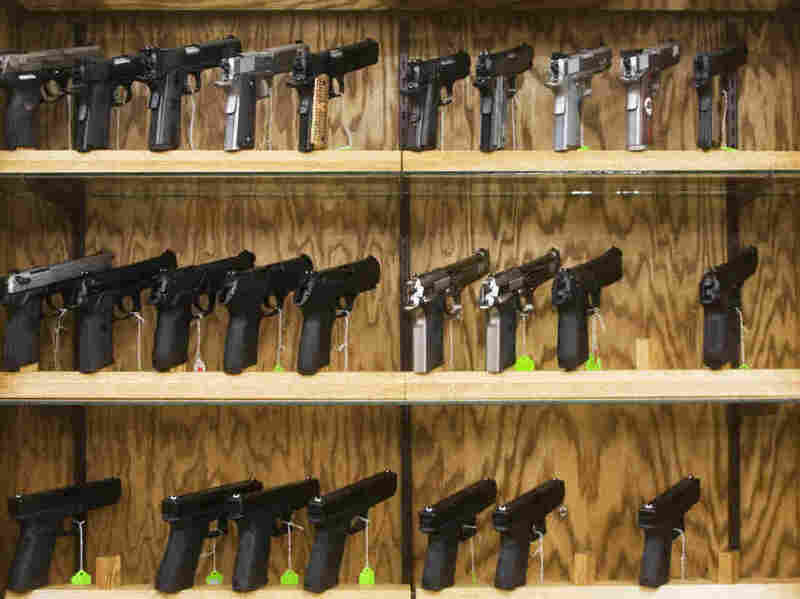 The number of concealed-carry permits in the state has more than doubled in the past five years, to 48,700, according to The Associated Press. Critics of the legislation had argued that it was already easy to get a concealed-carry permit in North Dakota. Democratic state Sen. Carolyn Nelson of Fargo said the measure was unnecessary. "If you can read, you can pass the test," she was quoted as saying by the AP. South Dakota's Republican governor, Dennis Daugaard, vetoed a similar measure in his state earlier this month. In an op-ed in the Rapid City Journal, Daugaard wrote that he could not support "bad legislation which would lead to a whole host of unintended consequences. The laws we currently have in place are effective, appropriate and minimal." Idaho, Mississippi and West Virginia passed similar laws last year, and New Hampshire did so last month.